A recent study has found that unplanned developmental activities and land use are reducing the evergreen forest cover and perennial streams in central region of Western Ghats in India. Indian researchers have mapped how large-scale activities have eroded the ecosystem in central Western Ghats, a biodiversity hotspot known for its rich ecology, natural forest systems, and perennial rivers. The study focussed on Kali river that originates in Uttara Kannada district in Karnataka and joins the Arabian Sea. The river is as old as Western Ghats, has six major dams, 325 species of flora, and 190 species of fauna. Using remote sensing data, the researchers found that between the years 1973 and 2016, the forest cover has reduced from 85% to 55%. In addition, land use pattern in the region has changed during 1980–2000 period due to developmental projectssuch as dams built on the river Kali, Kaiga nuclear plant and Dandeli paper mill.The paper mill has led to large-scale conversion of forests to crops. 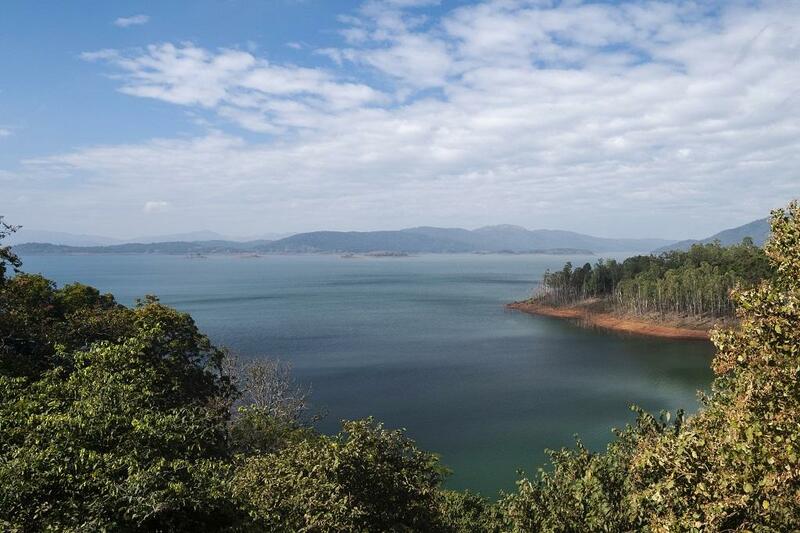 Evergreen forests have shrunk from 62% to 38.5% during this period, and large water reservoirs have been constructed at the expense of forest cover, the study notes. Eco-hydrological footprint is a measure of how ecology of a region responds to changes in water cycle and water usage. This can be measured by assessing the ratio of available water and water lost due to usage and evaporation. Around 2309 million cubic meters of water are required for the demands of society and livestock in the region, while around 4700 million cubic meters is required to maintain ecosystems and aquatic life. Analysis showed that although Kali river has sufficient water supply and perennial streams in the Ghats and coastal area, regions that lie in plain lands with higher degree of agriculture and cultivation have intermittent and seasonal flow that has led to water scarcity for 4 to 9 months in a year. Perennial streams were found in regions that have greater than 70% of forest cover, showing the link between ecology and hydrology with land use. “Forests with native species of vegetation play a pivotal role in enhancing the water retention capability of the catchment”, T V Ramachandra, scientist at the Indian Institute of Science and a member of research team, told India Science Wire. “Villagers in the vicinity of native forests earn Rs1.54 lakh per acre per year compared to Rs 32000 in villages with stream catchments experiencing deforestation. This confirms vital role of native forests in sustaining water and people’s livelihood,” he added. Thestudy said that management practices adopted by engineers were contributing to erosion of water retention capability in the river catchment with severe water scarcity. The government agencies should establish better management and conservation strategies to maintain forest cover for food and water security.